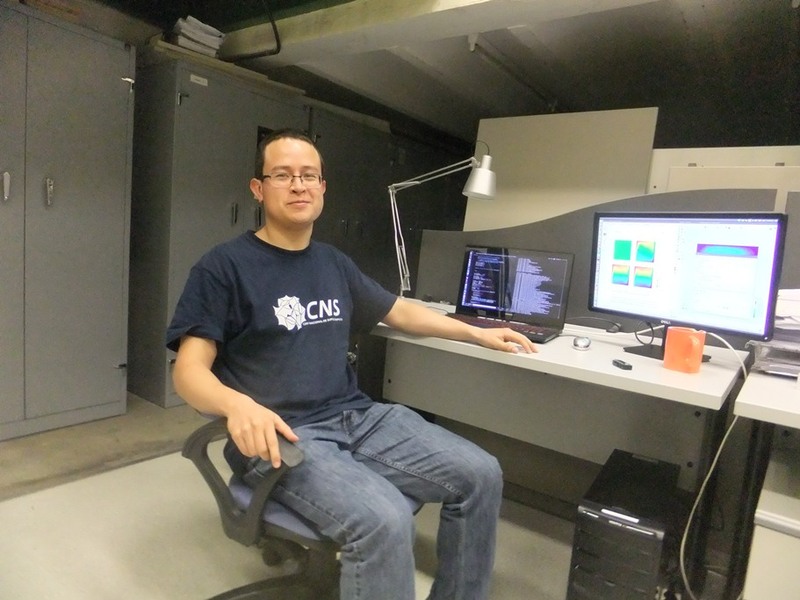 I am Fernando Cervantes, PhD student in Computer Science at the Centre for Research in Mathematics in Guanajuato, Mexico. With the support of the TCAiNMaND project I was able to travel to Barcelona and make a research stay of three months at the International Centre for Numerical Methods in Engineering (CIMNE) under the supervision of Prof. Eduardo Soudah. 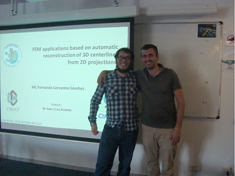 The objective was the development of a methodology to reconstruct 3D objects from 2D projections. The new methodology for the automatic reconstruction of 3D objects centerline from 2D projections was developed as a result of a thorough research in the state-of-the-art. The final methodology is a combination of image processing techniques applied to the 2D projections and computer vision concepts applied in the 3D space. The stay was very fruitful, not just for the knowledge earned but the all the people I met in CIMNE. There were people from multiple scientific areas that gave me their points of view about my research work and how to improve it. The objective was fulfilled and new research topics and further applications of the developed methodology were introduced by my advisor Prof. Eduardo Soudah. I also had the opportunity to visit the city and beaches of Barcelona with my wife. We enjoyed the parks, restaurants, book shops and festivals around the city and learned a little of its history and culture. I thank the TCAiNMaND project managers for the support and the people at CIMNE who received me and made possible this scientific collaboration and life experience.